Major General Sheikh Md Monirul Islam (retd), Chief External &ampCorporate Affairs Officer of bKash handing over books to Professor Abdullah AbuSayeed, Founder and Chief Executive of Bishwo Shahitto Kendro at their office recently. 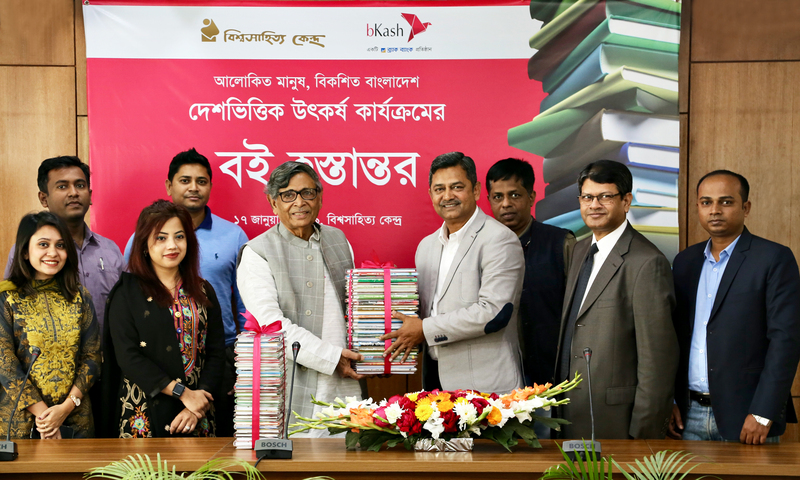 bKash has been supporting the ‘Nationwide Enrichment (Book Reading) Program’ of Bishwo Shahitto Kendro since 2014 and provided more than two lakh books to the program. This year bKash provided around 40,000 books to Bishwo Shahitto Kendro. The books will be distributed among students of 400 education institutes across the country.